When the Confederate submarine Hunley sank a Union warship 150 years ago, it didn’t change the course of the Civil War, yet it altered naval warfare forever. 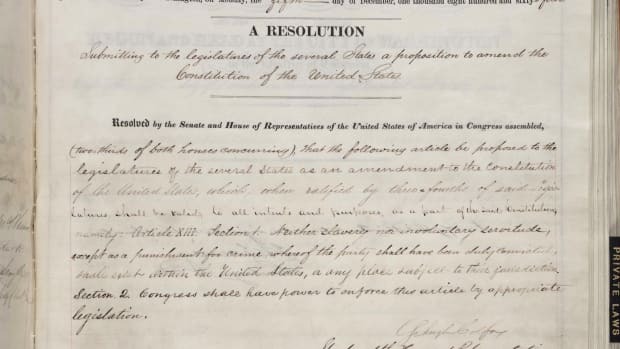 On the clear but chilly night of February 17, 1864, John Crosby stood on the deck of USS Housatonic a little less than six miles and three years removed from the launching point of the Civil War, Fort Sumter. The moonlight shimmered on Charleston Harbor’s still surface as Housatonic patrolled the South Carolina waters as part of the Union naval blockade that was slowly strangling the Confederacy. As Crosby gazed out at the placid harbor around 8:45 p.m., Housatonic’s officer of the deck suddenly saw something shatter the water’s glassy surface only 100 yards away on the starboard side. At first, Crosby thought it could be a surfacing porpoise or perhaps a log. But as the murky shadow rippled closer to the warship, the Navy officer sounded the alarm as he realized that the strange object closing in on Housatonic was actually a cutting-edge naval weapon—a submarine. Based on information gleaned from Confederate deserters, Union ships had been on alert for undersea vessels lurking in Charleston Harbor. Only four months before, USS New Ironsides had been partially damaged in an attack by the semi-submersible CSS David, and this windless, moonlit winter night offered perfect conditions for operating the approaching submarine, H.L. Hunley. As all hands raced to their stations on Housatonic, seven Confederate sailors inside the primitive submarine turned a handcrank that powered the propeller as another man steered toward the 1,240-ton sloop-of-war. Even if they hadn’t been bearing down on a mighty warship, the eight men were already undertaking a dangerous mission simply by being inside the submarine that had already claimed the lives of 13 men, including its inventor, during training exercises. The undersea vessel had been privately constructed in Mobile, Alabama, based on the plans of marine engineer Horace Lawson Hunley. Although Crosby initially thought he spotted a porpoise, the submarine more closely resembled a whale. It was constructed out of a 40-foot-long cylindrical iron steam boiler with a tapered bow and stern. After successful tests on the Mobile River, the submarine was transported to Charleston in August 1863 amid hopes by the Confederate navy that it could be a secret weapon in breaking the Union blockade. Shortly after testing began in Charleston Harbor, five of Hunley’s nine crewmembers drowned when a ship officer accidentally caused the vessel to dive while the hatches were still open. The submarine was salvaged, but less than two months later, a second training accident killed the eight-member crew, including H.L. Hunley himself. Once again, the submarine was pulled to the surface, and even though he knew its tragic history, Lieutenant George Dixon agreed to take command of the vessel in November 1863 and raised a crew of courageous volunteers. 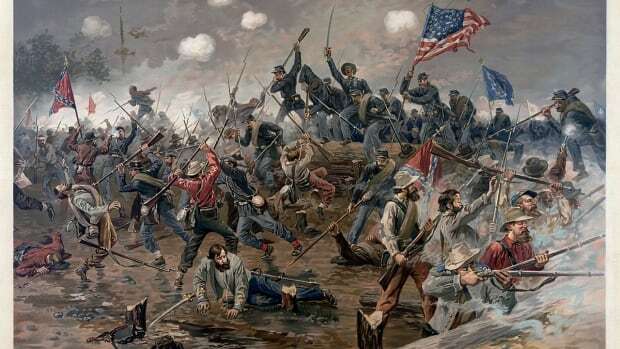 As Dixon led his men on the daring attack on Housatonic, he carried with him his good luck charm, a bent gold coin that had saved his life by slowing a bullet that wounded him two years before at the Battle of Shiloh. Although Confederate P.G.T. Beauregard had instructed Dixon to remain on the surface during any attacks, given Hunley’s previous accidents, most of the submarine still remained below the water line as it moved so close to Housatonic that the warship’s 12 cannons were useless. The captain and crew fired their rifles and shotguns in a futile attempt to halt the approaching vessel, but the bullets merely bounced off Hunley’s armor as a spar torpedo mounted at the end of a 16-foot rod that protruded from the submarine’s bow struck the warship. 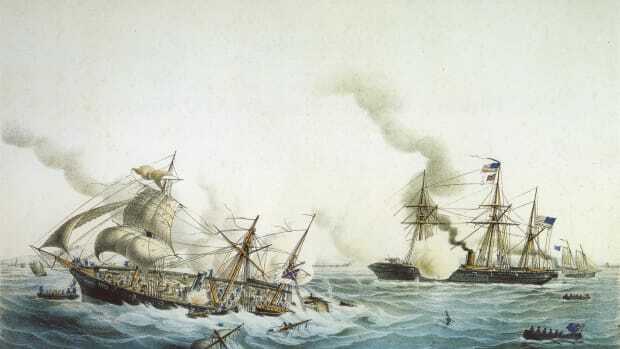 The spar tore into Housatonic’s starboard quarter near its powder magazine, and the rebel torpedo laden with 135 pounds of gunpowder exploded. Housatonic took on water immediately, and within minutes it was a loss, the first warship to have ever been sunk by a submarine. 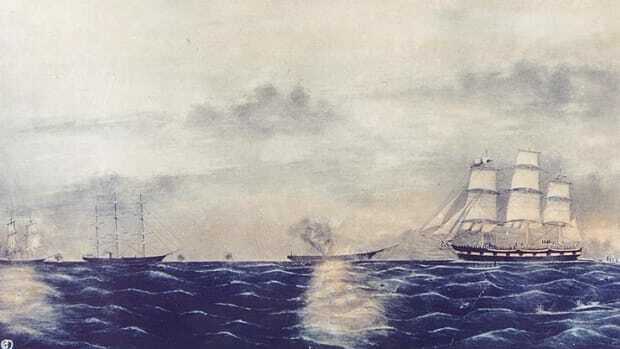 Most of Housatonic’s 155 crewmembers saved themselves by launching lifeboats or climbing the rigging, which remained above the harbor’s shallow 27-foot depth in time for rescue boats from a nearby Union warship to arrive. 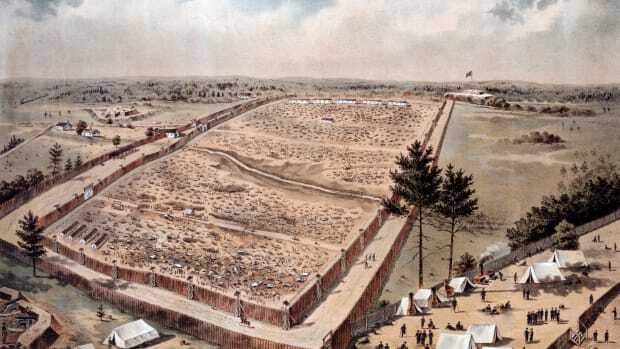 Five Union sailors died, but the outcome was even more devastating for the Confederacy as Hunley never returned to port. For the third time, Hunley slipped to the bottom of Charleston Harbor, but exactly why remains a mystery. The undersea vessel could have been fatally damaged in the torpedo explosion, hit by a shot from Housatonic or sucked into the vortex of the sinking warship. In 1995, the submarine was located beneath sand and shells by novelist Clive Cussler’s National Underwater and Marine Agency. Five years later, the well-preserved wreck of Hunley, with its eight crew still at their stations and Dixon still with his lucky coin, was raised from its murky grave and brought to the Warren Lasch Conservation Center in North Charleston where it was placed in a 90,000-gallon freshwater conservation tank. 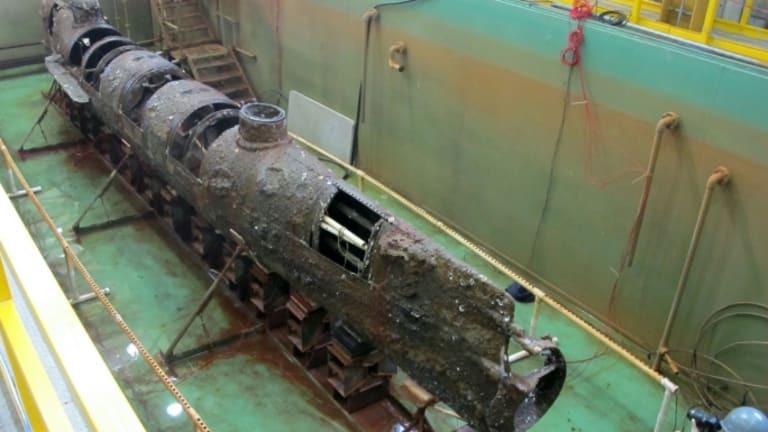 The crew of Hunley were given a proper burial in 2004, and an international team of scientists studying the wreck believe they are close to solving the mystery of what happened to them in the final moments of their daring mission.